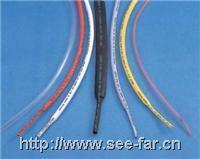 heat-shrink tube is made from a special material Polyolefina. With a low-temperature contraction, soft flame retardant, anti-corrosion insulation function, it isWidely used in all kinds of wire harnesses, solder joints, inductors insulation protection, metal pipes, rods rust-proof, anti-corrosion, and so on. Voltage: 600 V.